We have started the process of working towards our 4th Green School Flag: Travel. Follow our updates and latest news here! Our first Travel Survey. This is to find out how our students get to school. We want to get as many children walking to school every day as we can! Here is our slogan for our new campaign. Every class will display it on their doors so hopefully we can remind ourselves every evening to do our best to ‘take a walk or carpool’ the next day! The votes are in! 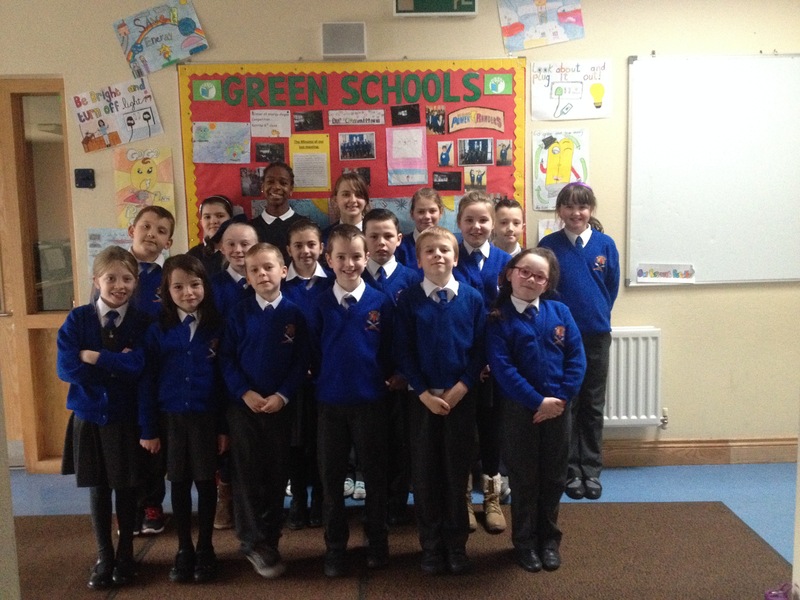 Here is our Green Schools Committee for 2018-2020. We will be working very hard over the next two years to earn our 4th flag! paid off over the past two years. 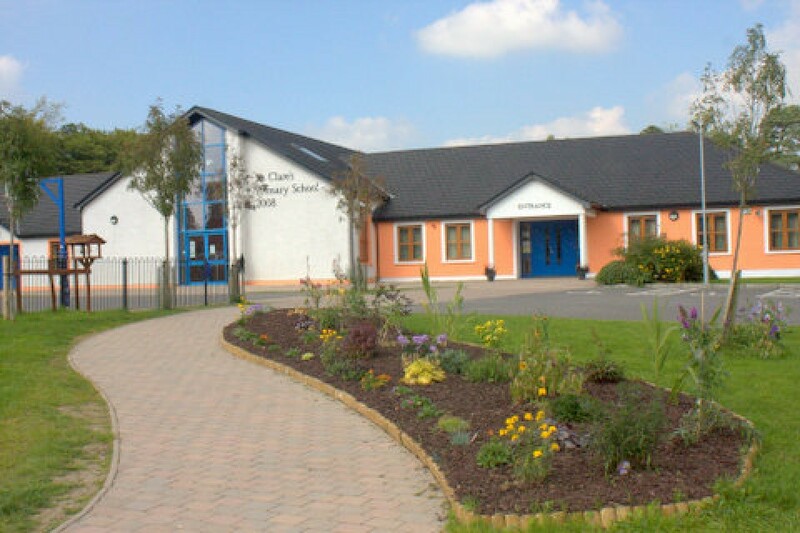 We were delighted to collect our 2nd Green school’s flag at a ceremony in DCU on Thursday 26th of May . We met with lots of other schools who were collecting flags also. We had dinner and chatted to the other schools. It was a very enjoyable day. The Green Schools committee has included some tips which can be used in the home to cut down on energy and cut down on money in your home. ⦁ Turn off appliances when they are not in use. Do not leave them on standby. Standby can use up to 20% on some inefficient appliances. ⦁ Buy A rated appliances for your home. This can be a huge saving of €150 annually on your electricity bill. ⦁ Turn down your heating –by even 1 degree Celcius and it will save you up to €150 per year of your money.. A 10% percent saving. ⦁ Buy energy efficient light bulbs (CFLS) instead of traditional bulbs-they use 1/5th energy and last up to 10 time as long. They will pay for themselves in under a year and from then on they are saving you on your electricity bill. ⦁ Attic insulate-insulating your attic will keep the heat in your home for longer and pay for itself in 2-3 years. ⦁ Fit a lagging jacket-lagging your hot water tank will keep the water hotter for longer and will have paid for itself in a few months. ⦁ Don’t overfill your kettle-boil as much water as you need. ⦁ Walk or cycle to work instead of driving-It costs nothing and it’s healthy for you. ⦁ Use the clothesline when possible- Tumble dryers use a lot of energy. ⦁ Buy local Produce-A considerable amount of energy is consumed transporting produce around the globe, reduce this by sourcing food from a local market and also help the local economy. 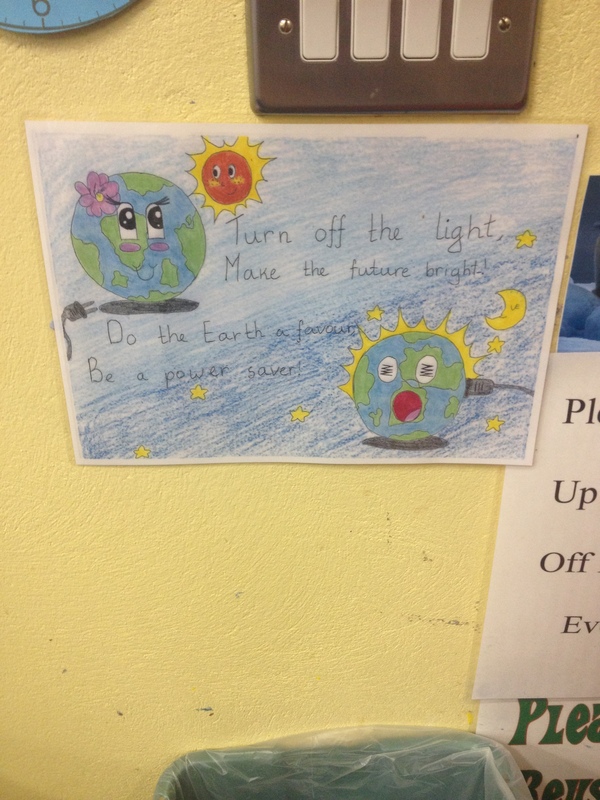 We held a competition for the children to come up with their best energy slogan. Checkout the Winner’s slogan below. Our Fancy dress Halloween disco under the theme reducing energy.